When someone is searching for addiction treatment or substance abuse treatment in Maryland, they should look at a dual diagnosis addiction treatment center. 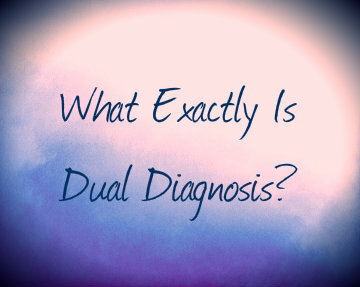 Several questions surrounding this type of drug rehab in Maryland may arise, such as “why do I need a dual diagnosis treatment center?” or even “what is dual diagnosis?” These are important questions to answer and to understand. Second, it is important for anyone that is suffering from an alcohol or drug addiction to seek help as a dual diagnosis treatment center because addiction often goes hand-in-hand with mental illness. When someone with a substance abuse issue receives treatment, several things can occur. They may also be suffering from a mental health disorder at the same time and both need to be treated at the same time. Or perhaps the patient receives treatment for the addiction and once the drugs and/or alcohol are removed from their system an underlying mental disorder begins to service. If this is the case, it is important that the patient be under the care of a professional in order to deal with the presenting mental health illness. Another situation could be that a patient has been previously diagnosed with depression or being bipolar or suffering from an anxiety disorder but when receiving treatment it is found that they were misdiagnosed. The symptoms and behaviors of drug addiction can often look like that of a co-occurring mental illness, when in fact it was simply the signs of a drug addiction. Whatever the case may be, it is vitally important that the drug treatment center or addiction treatment provider be skilled in both substance abuse treatment and mental health treatment. Although Baltimore and the entire state of Maryland is slowly moving towards an integrative model of care related to addiction and mental health, there are drug rehabs in Maryland that are already ahead of the curve and providing drug treatment and mental health treatment in a dual diagnosis addiction treatment approach. Substance abuse issues must be approached by treatment professionals skilled in also treating mental health disorders, personality disorders and behavioral disorders because addiction either almost always accompanies another disorder or the behaviors of substance abuse will mirror that of other mental health disorders. Therefore, receiving treatment at a dual diagnosis addiction treatment center is crucial in receiving the best quality of care for anyone in need of drug and alcohol treatment. If you or someone you know is suffering from a drug and alcohol addiction and needs treatment please call us for help. Maryland Addiction Recovery Center offers the most comprehensive dual diagnosis addiction treatment in the area. If we aren’t the best fit, we will work with you to find a treatment center that fits your needs. Please call us at (410) 773-0500 or email info@marylandaddictionrecovery.com. For more information on all of our alcohol and addiction treatment services and resources, please visit the web site at www.marylandaddictionrecovery.com.